An overheating car could be caused by a variety of reasons. It could be a broken radiator, a kinked radiator hose, a faulty thermostat, and maybe even a lack of coolant. There are many more reasons as well. No matter what the cause, if you are ever in a similar situation, there are three major things you should never do when your car is overheating. When you first notice that your vehicle is overheating, it is crucial to pull over and stop the car immediately. An overheating car should never be driven. This can be very dangerous. Wait until your car is entirely cooled down before starting the engine again. Checking your fluid levels in your radiator when the car is overheating is simply asking for trouble. It can be extremely dangerous. There is a lot of pressure built up beneath the radiator cap. Boiling hot fluids and steam can shoot out at high speeds, potentially burning and injuring anyone in its path. Determine whether or not you are on an inline for accurate fluid readings. If the car is not level, the fluids cannot be level. When a car’s engine has overheated, do not put cold water in the vehicle. Not only can this damage the engine block and cause it to crack, it can lead to other severe auto damages and costly repairs. Let a car cool down completely, as mentioned earlier, before tending to an overheated engine. For more information about what to not do when your car overheats, call our professional auto repair technicians at Strange’s Garage. We can give you advice on car repair, DIY maintenance tips, free estimates, and more. 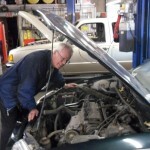 Visit our engine repair webpage at http://www.strangesgarage.com/engine-repair-indianapolis.php, or call us directly at 317-244-2121 for information about car and engine repair in Indianapolis, IN. In today’s economy, it is not always possible to go out and purchase a brand new car because your engine has given out in your old one. Brand new car engines and vehicles are expensive, and require a lot of upfront cash that many families simply do not have. Fortunately, when a car engine breaks beyond repair, there are other options other than purchasing a new car or engine. Continue reading to learn about these options and car engine repair. Rebuilding car engines is becoming more and more popular due to its various benefits. Many people disregard buying a rebuilt engine, simply because they are used. The truth is that a rebuilt engine could be exactly what you need when it comes to auto engine repair. This is because car engines are just like furniture or clothes when it comes to resale potential. Yes, they are not brand new and may have a few scratches and tears, but they can be restored and still provide you with their intended purpose. If you have an older car and the engine goes out, it is more lucrative to purchase a re-manufactured engine, rather than scraping your savings to buy a new car or new engine. Rebuilt engines are tremendously advantageous, and are highly recommended for many reasons. When a shop re-manufactures a car engine, they basically dismantle it, inspect it, replace its parts, clean it thoroughly, and repair the entire engine. Typical restorations can include replacing timing belts, reforming piston-cylinders, lubricating and smoothing all bearings, and more. These engine rebuilds are always performed by certified mechanics, so long as they are purchased from a reputable retailer. These retailers should be able to offer warranties and guarantees on their parts and services as well. This way you know you are getting a good product. Second hand engines are mostly beneficial because of the significant price reductions. A re-manufactured car engine that is fully functional can be bought for more than half the price of new car engine. Another advantage of purchasing a rebuilt engine is that they still meet the OEM specifications and can perform better and run smoother than before. 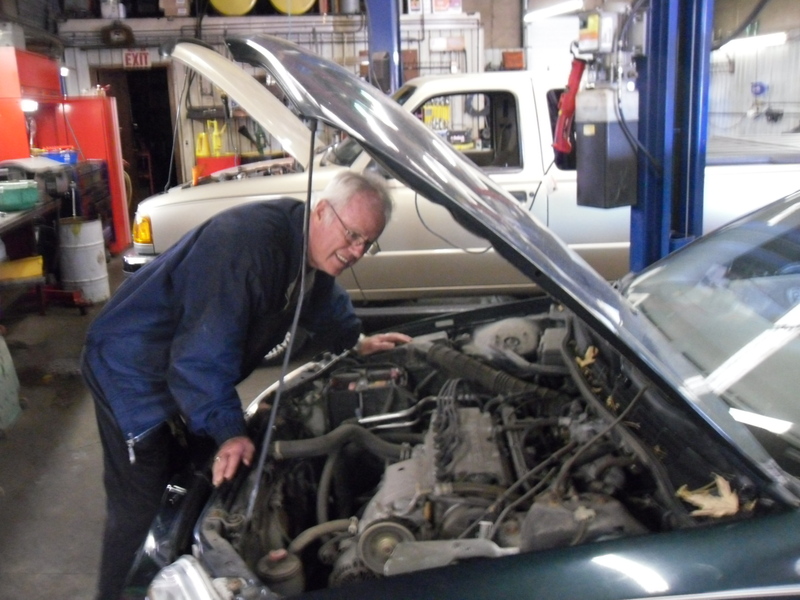 To learn more about rebuilding engines and car engine repair in Indianapolis, IN, call Strange’s Garage at 317-244-2121. We are highly experienced and qualified mechanics that can walk you through everything you need to know about replacing or repairing your car engine. We offer free estimates, towing services, auto repair, and more. Be sure to check out our Indianapolis IN Engine Repair webpage for more information about repairing car engines today! With the gasoline prices soaring through the roof these days, many people appreciate new and effective ways to increase their car’s fuel mileage. Many products on the market today claim to be the answer to better fuel consumption, but unfortunately they are not effective at all. Increasing the miles per gallon in your car or truck can save you hundreds of dollars cumulatively. Read on to learn more about increasing your vehicle’s gas mileage and saving cash instantly. Here are some ways you can help increase the fuel mileage in your vehicle, simply by changing your driving habits. Avoid Over-Acceleration and Erratic Driving. If you drive smooth, steady, and at the proper speed limits, your car will naturally use the gasoline appropriately without over consuming it, saving gas and money. Do not drive fast and whip your car around turns and make sudden stops. This wastes the fuel in your tank. Take Everything Out of Your Trunk. Anything that weighs more than a few pounds can be removed from your trunk making your car lighter on its wheels. Because the car isn’t hauling as much weight, it doesn’t need to over use fuel to be able to carry the heavy cargo. Car Pool Any Chance You Get. By combining trips to work and other common spots, you can save a lot of money and fuel. Car-pooling can allow a person to cut their driving in half! This is a huge contribution to advanced and increased gas mileage and saving money on fuel. For more information on fuel mileage, auto repair, maintenance, and more, call Strange’s Garage at 317-244-2121 right away! We are licensed and ASE certified mechanics that are happy to answer any questions regarding your vehicle. You may also visit our Indianapolis Auto Repair and Service website anytime! Your car’s brakes and entire braking system is one of the most crucial components to vehicle safety. Knowing the signs that may indicate worn or deteriorated brakes can greatly reduce the risk of abrupt brake failure and accidents. So how can you tell that it’s time to change your car’s brakes? By knowing some simple red flags or signs of brake decline, you can avoid life threatening accidents caused by brake failure. Also, in less serious situations, you can reduce the cost of having to replace braking systems entirely with some simple regular maintenance. The first and most common sign that your car brakes need repaired or replaced is the high-pitched, squeaky squeal you hear when you apply the brakes while driving. Most likely, this is an indication that something is wrong with the brake pad. You see, most brake pad manufacturers include a little piece of metal on the pad that is appositely called an “indicator”. This piece begins to touch the brake rotor once the material of the pad has worn down to about a quarter of an inch. This creates the sound so that you are alerted to get them replaced at the right time. Once this noise begins, you have around a month to get them repaired, depending on the frequency of your driving. If the noise eventually goes away, this does not mean your problem cured itself and it’s gone. It just means that the “indicator” has worn off from all the grinding and you are now driving in danger-mode. Another sign that could mean more than just replacing your brake pads is your stop time. If you notice that it takes more time to stop your car, have your brakes looked at right away. Also, if the brake pedal goes farther than it used to, this is another sign that your car brakes need attention. It could be anything from worn down brake pads or bad stoppers. An easier sign to detect is a shaky steering wheel. If your steering wheel vibrates aggressively or shakes back and forth when driving, you may have warped brake rotors. Brake rotors are not changed as frequently as brake pads, making them harder to diagnose for repair. However, knowing that a shaky steering wheel is a sign to poorly functioning brake systems, you can eliminate excess car repair costs down the road. 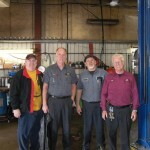 For more information on car brake repair, call Strange’s Garage in Indianapolis, Indiana. We are a well-defined and highly trained group of auto mechanics that have over 35 years of experience servicing and repairing car brakes. Call us today at 317-244-2121 for a free estimate on our Car Brake Repair Services in Indianapolis, Indiana. It can be confusing sometimes to know who to refer to when talking about transmission service. One has to know when and if it is time to have their transmissions looked at. This typically depends on the owners’ manual and the amount of miles on the vehicle. Many of the newer vehicles on the market today do not even have a listing for any preventive maintenance service for their transmissions. critical to the life of the transmission to keep the fluid and filter clean. Just because a vehicle is running and shifting normal does not mean that it is in good working condition. It is important to maintain a transmission just like an engine. Similar to the importance of keeping the oil and filter changed regularly on an engine, a transmission, even though it does not need to be done as often, also needs these components changed regularly. Most dealers will suggest that you have your fluid and filter changed in your transmission at 50,000 to 60,000 mile intervals. If a person waits until the transmission is slipping, not shifting, or emits a burned fluid smell, they may have waited too long. This is when it could be time for a transmission “repair”. 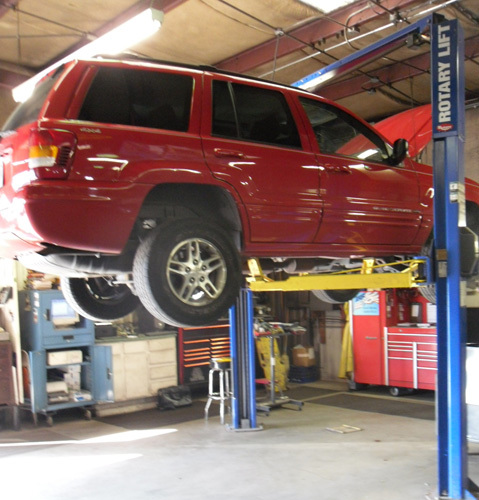 When a vehicle’s transmission is slipping, slamming into gear, making noise, shimmies, or has other driving issues, it is crucial that the vehicle not be driven until it is looked at by a licensed technician. Internal failures on most late-model electronic transmissions can be very expensive to repair. Driving the impaired vehicle creates more damage that results in higher repair costs. A complete transmission overhaul can easily cost $2500 – $5000 in today’s market, with some luxury cars costing even more to repair. When you consider that the cost of a typical transmission maintenance services averages near $85 to $150, you can see that preventive auto maintenance is the more lucrative choice for car maintenance and service. So don’t wait for your vehicle to start showing signs of transmission problems. Be pro-active and schedule an appointment to have your transmission fluid and filter changed soon. You will save a lot of money in the long run. For more information on car and auto maintenance and repair services, call us at 317-244-2121. 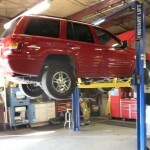 We are licensed and professional auto technicians with over 30 years of experience repairing transmissions. Feel free to visit our Indiana Transmission Service and Repair website for more information on our auto transmission services as well! It is that time of year again, when the sun is out more often, and temperatures begin to rise. For anyone without air conditioning in their car, this is not something to look forward to. Before it gets too hot, have your car’s ac unit inspected and refreshed, so that you can stay cool when cruising in your favorite set of wheels! One or more of the following variables have been known to be common causes of poor auto ac conditions, for example: Low levels of refrigerant, (the fluid that keeps your ac cool), clogging in condensers, failed compressors, and leaks. All these, and more, can disrupt the production of cool air within your vehicle. Repairing air conditioning in a car is similar to solving a riddle. It takes time to identify the exact causes and implications affecting your auto air conditioning system. Any catalyst at any time can cause the ac to break and stop working, which is why it is better to contact an auto ac repair company to diagnose the true issue. A technician focuses on key components to diagnose and repair a car air conditioner. These components are compressors, expansion value, refrigerants, condensers, and evaporators. A skilled mechanic will not have to pull the car apart to check for leaks or inspect fan belts, fuses, wires, and switches. He will know exactly how to detect the issue and repair it correctly. 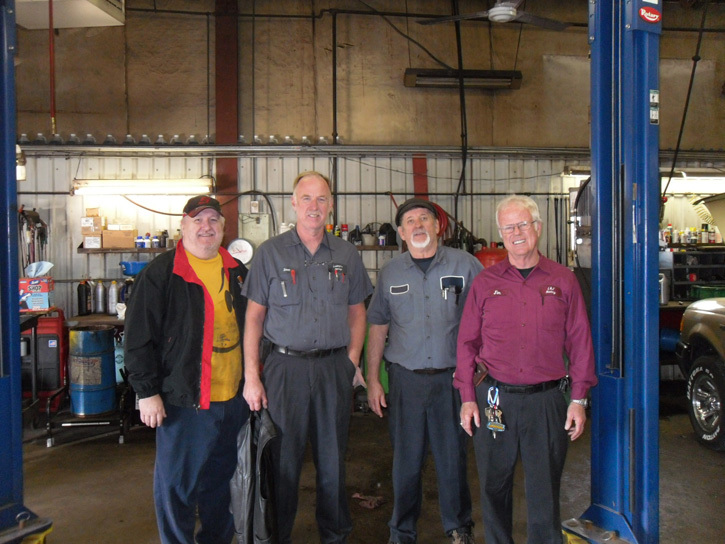 Trust an experienced Auto Repair Shop to handle any auto ac repairs that you may need. Our shop offers free estimates and can guarantee our work. For more information on car AC repair , visit our Auto AC Repair website, or call us at 317-244-2121 for a free estimate today.